High-power large aperture radars were first envisioned by Bill Gordon (1958) as instruments that can measure the incoherent scatter from free electrons in the Earth's ionosphere. He also proposed that such a radar could be used to observe the Sun and various planetary targets. 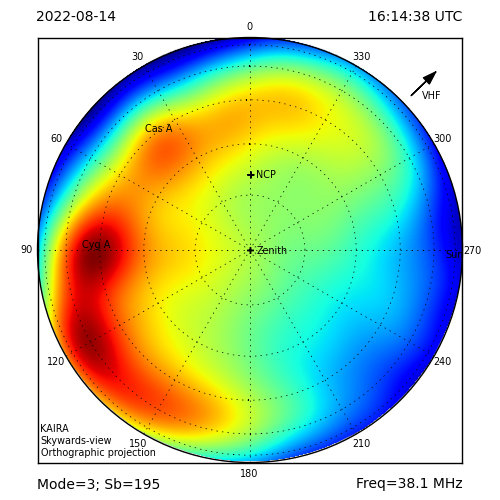 The first experimental measurements of ionospheric incoherent scatter was soon thereafter reported by Bowles (1958), and many of the other goals were also soon realized when the Jicamarca Radio Observatory and the Arecibo Ionospheric Observatory were built. Both of these radars are still the largest in the world, and have contributed much to our knowledge of Earth's atmosphere and space. The Jicamarca radar located in Peru has a square shaped phased array antenna field with dimensions of 300*300 m. The Arecibo Ionospheric Observatory in Puerto Rico has a spherical dish with a diameter of 305 meters. 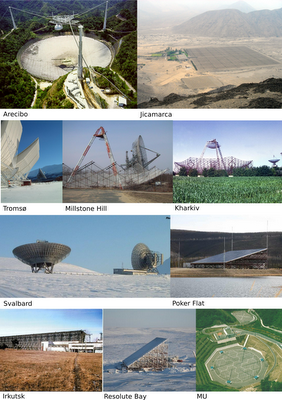 High-power large aperture radar systems of the world. 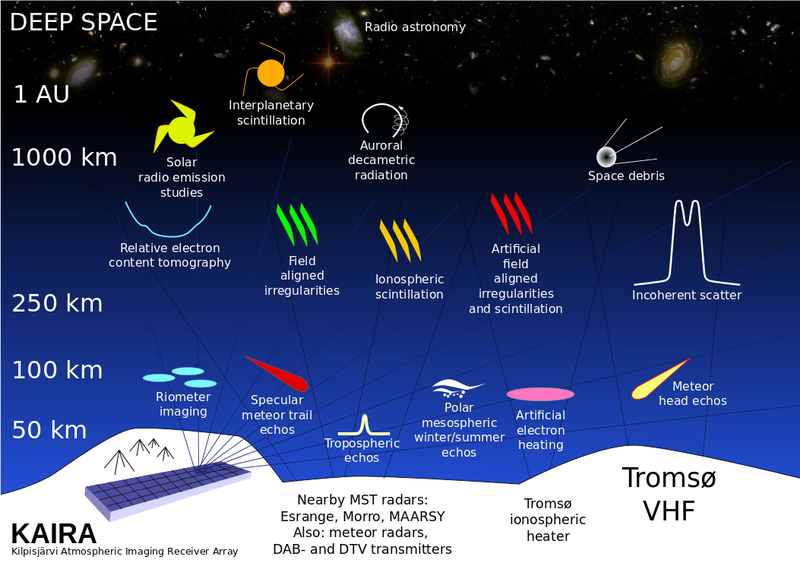 Photograph credits: Arecibo (NAIC), Jicamarca (JRO), Tromsø (EISCAT Scientific Association), Svalbard (Tony van Eyken), Millstone Hill (MIT Haystack), Kharkiv (Institute of Ionosphere, Kharkiv), Poker Flat and Resolute Bay (Craig Heinsleman). As the name already suggests, high-power large aperture radars are radars with large antenna aperture and transmission power. As the beam width of an antenna is typically inversely related with the collecting area, these radars also have fairly narrow beams (typically 1 degree). They also typically transmit fairly long coded pulses in order to increase the average transmitted power. In some bi-static planetary radar applications the transmission can be continuous. While the primary purpose of most high-power large aperture radars is the study of ionospheric plasma, they can also be used for a large variety of other uses, including meteor, space debris, planetary , and lower atmospheric studies.